Glen Wood was fired from Mitsubishi UFJ Morgan Stanley Securities Co. in April. Glen Wood pictured with his son, Alexander. A Canadian dad living in Japan says he's hopeful that his former employer's vow to erase workplace harassment is a step in the right direction. Glen Wood — who was born in St. Ann's, Ont. and is a single father to Alexander, age two — is embroiled in a lawsuit with Mitsubishi UFJ Morgan Stanley Securities Co. in Japan over his allegations that the company harassed him for taking paternity leave and eventually fired him. "Disguising harassment as a form of management is wrong and is a violation of universal human rights," Wood told HuffPost Canada in an email interview from Tokyo. "It must stop and I am hopeful that this is a step in the right direction." The firm has denied Wood's allegations, telling the Associated Press it responded "with sincerity" to Wood's paternity leave requests. But on Monday, CEO Saburo Araki told Bloomberg he vows to "eradicate" staff harassment after becoming aware of "several harassment claims from employees" since he took over the role at Mitsubishi UFJ Morgan Stanley Securities Co. in April. "I want to eradicate it, but it will be difficult to root out," Araki told Bloomberg, while declining to comment on individual cases. Araki told Bloomberg the company will investigate complaints and punish employees who mistreat others, will be holding town hall meetings at 20 different locations across Japan to discuss issues including harassment, has recently required its employees to watch a 25-minute video on how to avoid harassment, and made a hotline available to employees who wish to file confidential complaints. "I'm very serious" about tackling harassment, he said. "This is not something we can change easily. It will be a long-term effort." Saburo Araki, chief executive officer of Mitsubishi UFJ Morgan Stanley Securities Co., speaks during an interview in Tokyo, on June 22, 2018. In Japan, working fathers can take a year of paternity leave, but only three per cent of men actually take it. A 2014 survey found that paternity harassment is a widespread problem in Japanese business culture, with 12 per cent of men saying they've experienced it firsthand and another 11 per cent saying they've witnessed it happen to their colleagues. The Japanese government has said it hopes to increase the proportion of men who take paternity leave to 13 per cent by 2020. Canada recently updated its parental leave policies in part to encourage dads and partners to take more time off work, but studies show that stigmas remain. A survey by Dove Men+Care recently found that one in four Canadian fathers took no time off when their child was born. Spouses or partners of Canadian fathers take eight times more time off to care for their new child. Half of the dads or dads-to-be who were surveyed said they didn't feel comfortable asking their managers for more time off, and 28 per cent said they were afraid their co-workers would judge them. Another study comparing Quebec and Finnish lawyer dads suggested that male-dominated professions are particularly problematic. Lawyers in Quebec were significantly less likely to take paternity leave than their Finnish counterparts, and instead were more likely to use vacation time to spend time with their newborns. And fathers who take on caregiving roles face more workplace harassment and mistreatment than "traditional" fathers and men without children, according to research from the University of Toronto's Rotman School of Management. Glen Wood with his son Alexander, age two. Japanese corporate culture is so intense that that you're expected to "lay down your life" for your job, Wood previously told HuffPost Canada. Wood says he suffered through years of mistreatment after informing his company he intended to take paternity leave. He previously told HuffPost Canada that his initial requests for leave were denied until he took a DNA test. 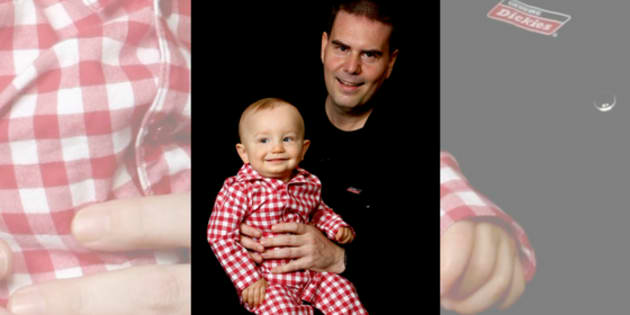 When he returned to work a few months after his son was born, the company allegedly refused to return him to his duties. Wood said he was harassed to the point that he had to go on medical leave for depression. He was eventually placed on unpaid leave, and officially dismissed in April, according to a news release from his lawyers. "In general, it is great to see the CEO acknowledging the harassment problem at the firm. They have been denying it for years despite many victims, lawsuits, and hurting people," Wood told HuffPost Canada on Tuesday. Wood's next Japan court date is July 13, he said.